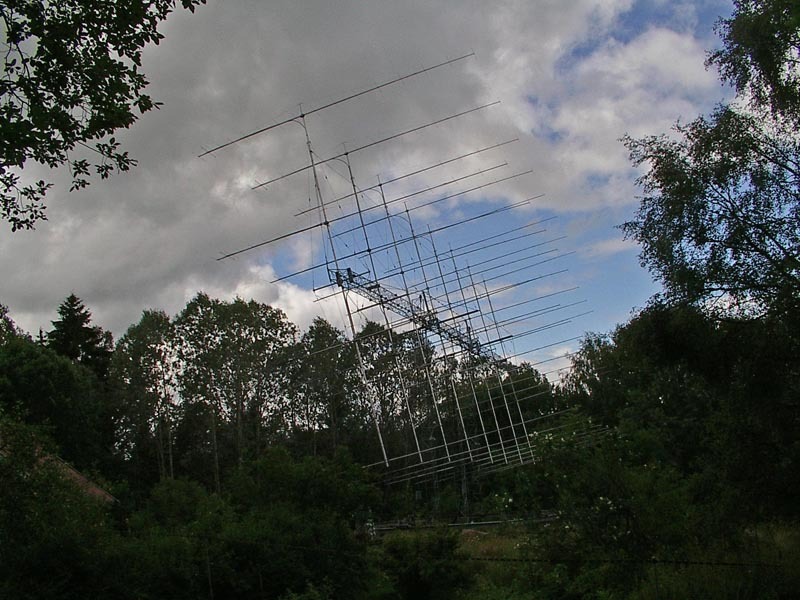 Posted: July 12th, 2009 under EME, Hamradio. I have been thinking about visiting LA8YB for several years now. 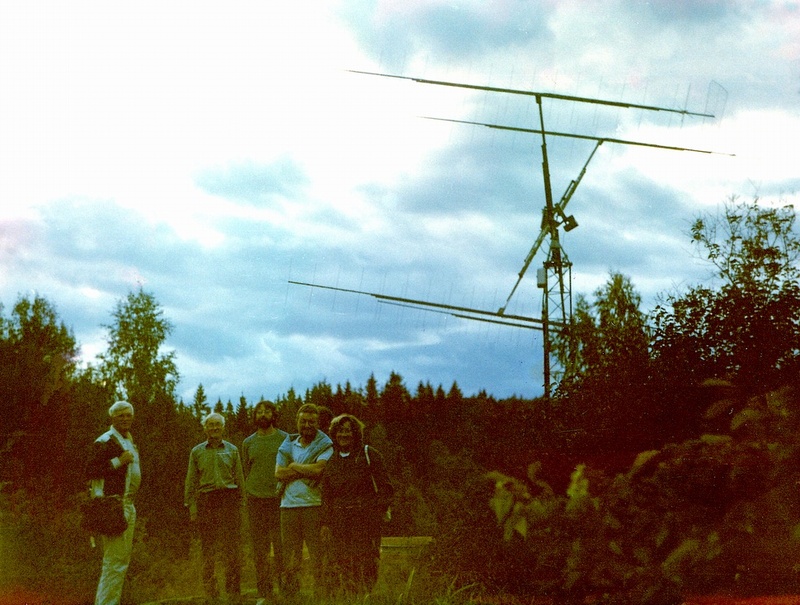 We have always been talking about it on the Nordic VHF meetings. This year I decided that now is the time. After meeting Finn at Knottebo, we found a date in July. I asked several friends if they wanted to join us. When the day arrived, we were 8 people ready to visit this big station. Participants were LA1QCA, LA6LCA, LA8AJA, LA8AV, LA8HGA, LA9DM, LA9FLA and LB8IB. The station lies at Finn’s cabin, in the middle of nowhere. There are no regular roads going there, so we parked on a sideroad. We walked for about 15 minutes till we reached the cabin. 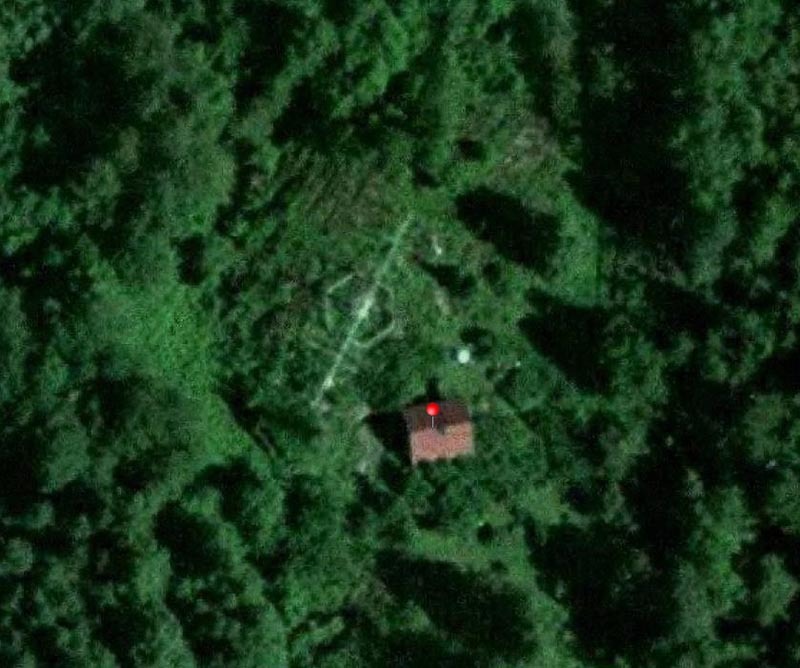 The antennas can’t be seen until you reach the cabin. As the antennas emerged, we just stood there and gazed. The one thing that came to my mind was; how did he manage to get everything here and build it up? The giant 2M antennas consists of 32 17 element 2M5WL antennas stacked together providing a theoretically gain around 29.5dBd. The losses in the system are only 0.5dB and the feed coax to the entire system is thicker than my arm. This 2M EME array is one of the worlds biggest. Finn started this project back in 1986, when he bought the cabin. Transporting the material to the cabin, was done with a little tractor. He took a break for a few years around 2000, where he mostly worked 160M. The system was finished a couple of years ago and Finn can hear his own echo with as little as 10W. If you think Finn only works on 2M, you are wrong. About 100M away, he has a tower with a TH6 antenna up at 22M. 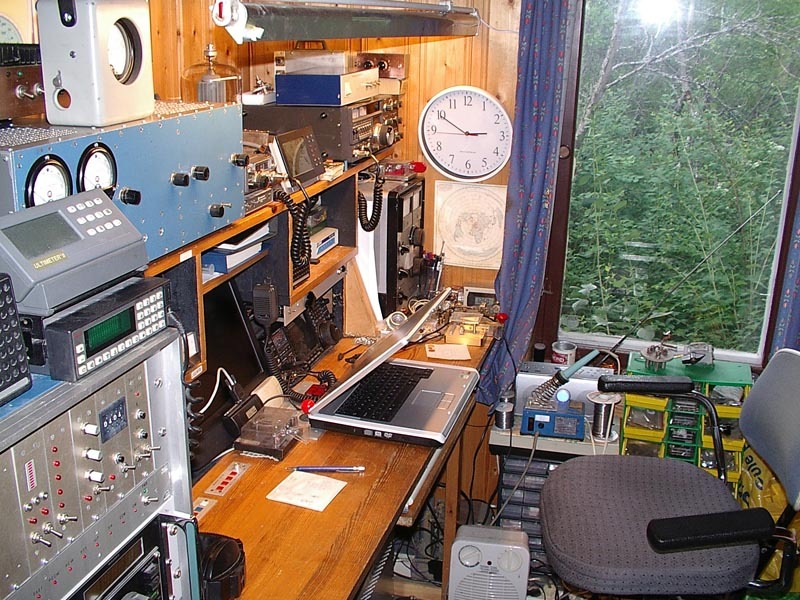 He also has 3 inv-l antennas for 160M and beverage listening antennas. On the wall in his shack he has 2M diplomas for WAC (Worked all Continents) and WAS (Worked all States). Finn currently has about 85 countries worked on 2M. Working new countries are slow with only 6 new ones the last 2 years. We also asked him if he was thinking about going digital, but the answer was no. "I don’t need to go digital when I can work them on CW with my setup". A lot of pictures were taken, but getting a good shot of the antennas aren’t easy. You can’t get far enough away to get a good shot. The forest is too close to the antennas. I have uploaded all the pictures I have. They can be seen here. As I get pictures from the others who joined, I will upload them as well. A big thank you goes out to Finn for his hospitality. Oh, almost forgot, Finn had his 80th birthday last weekend, so we gave him a big cognac bottle as a birthday gift. Happy birthday Finn! Wow! What a station. I think you better tell Finn you are his long lost grandson. I can imagine there is little QRN and lots of peace and quiet. Sign me up! Hi Ulis. Yeah, it’s quite an amazing station. I’m happy I finally got to see it for myself. Regarding lost grandson, a good idea, too bad he knows me too well for that 😉 Take care. I surely will. Thanks for stopping by, and interesting to see that old picture. A lot has happened since.